The list below contains all meeting details, provided by the meeting organizers, alphabetically sorted for each day. Click on the arrow next to the title to see the full information. Each participant for a side meeting during OSC has to register for the OSC. Registration opened on 1 November 2017, information can be found here. In three sessions, Arctic Data Center staff will introduce best practices for data management planning, metadata quality, and ensuring data longevity and interoperability. Additionally, Arctic Data Center staff will demonstrate tools for data provenance, automating data submissions, and the Arctic Data Center’s web-based data editor. About the Arctic Data Center: The Arctic Data Center is a data archive and portal for data discovery which provides users with tools for data and metadata submission. These tools include the ability to share data provenance and metadata quality checks. We assign a DOI to each published data set. In addition to data storage, the Arctic Data Center also provides support services to the Arctic research community by providing trainings in data science and data management, both of which are critical skills for stewardship of data and other research products preserved at the Arctic Data Center. Join us for one session or all sessions! The IPICS Oldest Ice challenge has the goal to investigate the causes of the enigmatic Mid Pleistocene Transition providing the necessary records of climate forcing over this time interval by drilling an ice core in Antarctica that covers the last 1.5 million years. The European Beyond EPICA – Oldest Ice (BE-OI) consortium and its international partners comprise a globally unique concentration of scientific expertise and infrastructure for ice-core investigations that set out to tackle this challenge. BE-OI is an EU Coordination and Support Action (CSA), which is delivering the technical, scientific and financial basis for a comprehensive plan to retrieve an ice core up to 1.5 million years old in a future project. This next step is currently the subject of a submitted EU proposal that would result in the Beyond EPICA – Drilling Phase. It would be an important contribution for the future exploration of Antarctica and promises unique insights about climate and the global carbon fluxes. This knowledge will improve future prognoses of climate development with solid quantitative data and will allow establishing more targeted strategies, to cope with the societal challenges of global change. In this session, we will explore the scientific challenge, describe progress towards establishing the best site, and discuss our outline plans for retrieving a new core. EU-PolarNet, a Horizon2020 funded Coordination and Support Action, is tasked with the objective to – for the first time ever – develop an Integrated European Polar Research Programme that is co-designed with relevant polar stakeholders and international partners. This session will present one important step towards this overall project goal: A set of polar white papers, which are the result of a five-day EU-PolarNet workshop that took place end of September 2017. The workshop brought together 50 internationally renowned polar experts, ranging from senior and early career researchers, representatives from indigenous peoples, industry, policy and NGOs. Jointly this transdisciplinary group identified areas of high societal relevance, where future research can contribute to economic, social and environmental benefits for a wide range of stakeholders. The output is a set of white papers, which are providing a state of the art for a range of polar issues, prioritize specific challenges and outline possible approaches in addressing these. Policy makers and funding agencies, including the European Commission, belong to the main receivers of these white papers. Group on Earth Observations (GEO, https://www.earthobservations.org/geo_community.php) is a partnership of more than 100 national governments and in excess of 100 Participating Organizations that envisions a future where decisions and actions for the benefit of humankind are informed by coordinated, comprehensive and sustained Earth observations. GEO Cold Regions Initiative (GEOCRI) is a network of organisations, countries and projects within GEO, covering cross-cutting scientific issues and societal benefit areas related to both remote and in situ observations from the world’s cold regions including the Arctic, the Antarctic and high-mountain areas. The side meeting will provide an introduction to the GEOCRI, including its main contributors, activities and services to end-users of cold region related Earth observation data. The meeting will especially highlight two ongoing GEOCRI activities: the development of the GEOCRI Community Portal and the Essential Cold Regions Variables. A large coupled ocean-atmosphere project will be held in March 2018 to study air-sea-ice interactions in the Iceland and Greenland Seas. We would like to hold a meeting so that members of the consortium can meet to discuss the outcome of the field project and plan future collaborations. The IPHC meeting is for expert and associate members of the IPHC committee. Observers wishing to attend should contact the organizer. This focus group discussion will consider and report on a recommended path forward for better collaboration and understanding between Arctic science disciplines, with the aim of improving our understanding of recent Arctic extreme events. We also hope to discuss how to improve the communication of these extreme events to the public (people living both inside and outside of the Arctic circle). Iridium NEXT transforms communication capabilities from the Poles! You are invited to join us and learn about the exciting new capabilities Iridium will be launching soon via our Iridium NEXT constellation of satellites, which are almost complete. Iridium CertusSM will allow you to send high resolution pictures, video and large data files through new products offering up to 704 kbps throughput – this will revolutionize the capabilities for anyone working in the polar regions. And our global constellation allows this from both poles and the entire world! We will be pleased to see you at the upcoming POLAR 2018 Event, taking place on June 19, 2018, as a lunchtime breakout session. By attending this workshop, you’ll gain valuable insights into the Iridium Certus capabilities & portfolio. Open, registration preferred until latest 25 May 2018. Palaeo-ice sheet and palaeo-climate models for Antarctica and Greenland suffer from a lack of accurately estimated palaeo-surface heights of the terrestrial landscape and palaeo-water depths of the surrounding oceans. Work by the PAIS-SCAR subcommittee aims to facilitate the collaboration of groups to develop grids of reconstructed palaeotopographies and palaeobathymetries showing changes in bedrock elevations, landforms, sedimentary erosion and deposition in the context of tectonic processes and configurations of Antarctica over the past ~70 million years. However, similar reconstructions may be important for Greenland too. This workshop aims to bring interested groups together in order to continue the development of regional to continental-scale reconstructions and will incorporate short presentations of current work in order to share and discuss the approaches being used. It will include discussions on further progress towards community-developed grid models that can be used for climate/ocean/ice sheet simulations during key periods of past climate changes. The 5-year (2016-20) Korean Arctic Ocean Observing System (K-AOOS) Program using R/V Araon, funded by the Korean Ministry of Oceans and Fisheries (MOF), has been developed and undertaken by Korea Polar Research Institute (KOPRI) to detect the changes of the structure and processes in the water column and subsurface in the Arctic (Bering, Chukchi, and East Siberian Seas) regions. The project will enable researchers to better understand and anticipate processes and changes resulting from rapidly declining sea-ice cover. KOPRI researchers, along with students and international collaborators, will study the oceanography and food web dynamics in the northern Bering Sea, southern Chukchi Sea, and in the East Siberian Sea. Fieldworks in summer between 2016 and 2020 will take place on board the Korean research icebreaker Araon. The K-AOOS project is seeking to head to the ice-covered area in rapid transition that has been rarely visited and poorly studied. The researchers will observe physical, ecological, and biogeochemical parameters in rapid transition and how quickly environmental changes affect the ecosystem in the Arctic Ocean. This will be critical for the policy makers looking to preserve thriving Arctic ecosystems as sea ice concentrations continue to decline. The results will be integrated with regional impact studies to help develop effective adaptation strategies for the rapidly changing Arctic Ocean. This session will provide an update to a workshop held at the 2017 PAIS conference of the same title. Our aim is to combine onshore and offshore data to provide a regional glacial reconstruction of the Terra Nova bay area. New terrestrial chronologies from cosmogenic surface exposure dating will provide a history of ice-surface lowering for major outlet glaciers (David, Priestley, Reeves and Campbell) while newly acquired marine-sediment cores and marine-geophysical observations will constrain the past extent, timing and behaviour of marine-based grounded ice. We recognize the history of research on this topic in this area and propose this workshop as an opportunity to involve the wider glacial-geology community. We look forward to 1) discussing initial field results, 2) further developing ideas for regional collaboration/synthesis and 3) continuing to collate all relevant data (Terrestrial, marine, model inputs). The Year of Polar Prediction (YOPP) is a major WMO World Weather Research Programme activity to enable a significant improvement in the environmental prediction capabilities for the polar regions, and beyond. The core period of YOPP (mid-2017 to mid-2019) entails intensive observation and modelling campaigns in both the Arctic and the Antarctic. This allows for subsequent forecasting system experiments aimed at optimizing observing systems in the polar regions and providing insight into the impact of better polar observations on forecast skill also in lower latitudes. All observations carried out during the Year of Polar Prediction will be shared through the Global Telecommunication System (GTS) to make them accessible to all WMO member states. The Year of Polar Prediction side event is open for anyone interested in polar prediction to learn and discuss about the current state of various planned and ongoing activities during YOPP. 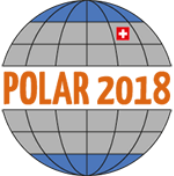 Several ways to get involved with the Year of Polar Prediction initiative will be raised during the POLAR2018 side event. Please have a look at the agenda. All scientists that have submitted abstracts to session OS-8 will be invited to an open session where the subject of the session is open for discussion. The session is also open for everybody that is interested in the subject. The main focus is to start a dialogue ACROSS the abstracts in order to obtain a more holistic view on the subject: to develop real unifying perspectives on pan-Arctic and pan-Antarctic ecosystems. The four conveners will be the discussion leaders. Information on SCAR Science activities and how to become involved, aimed particularly at early-career scientists and students. To publicize the Expert Group to enhance membership, provide an update on progress & announce upcoming activities. It is now 5 years since the publication of the Bedmap2 dataset, a joint community effort to map and quantify the Antarctic subglacial topography. Since publication the paper and dataset have been tremendously successful, having over 30,000 downloads and 650 citations. With the collection of new data in the intervening period we would like to bring the community together to discuss the construction of a new, third version of Bedmap. Possible items of discussion will include: Newly available data, whether to use modeled data in the new compilation, potential improvements to the methodology and the resolution of the output. Short talks from potential data providers will be most welcome. A number of participants in the OSC will be contributing chapters to a forthcoming Cambridge History of the Polar Regions volume. This 350,000 page book will be the definitive early twenty-first century history of the Arctic and Antarctica. We would like to request a room during the OSC (ideally a two hour evening slot) for the contributors to this book to meet to discuss their chapters and talk about the project as a whole. The two editors of the volume are active members of the SCAR History and Social Science and Humanities Expert Groups. One of the most exciting investigations of our planet is exploring of Antarctic subglacial environment – another ‘world’ beneath the ice sheet. This subglacial environment can give the unique information for various natural and interdisciplinary science researches. Subglacial environment become central to our understanding of the reasons of Antarctic ice sheet forming and past climate change, and to assessments of possible future climate change. Another particularly exciting aspect of the subglacial environment (probably unique to the Antarctic) is the prospect of new forms of life inhabiting not only in the subglacial lakes but also in subglacial till, vents, or cracks in bedrock. Subglacial environment plays a key role in the dynamics of the overlying ice sheet. In addition, bedrock samples give significant information on subglacial geology and tectonics. Themes to be investigated at the meeting include problems of subglacial bedrock/lakes sampling and promotion of international cooperation for future subglacial exploration (Gamburtsev Subglacial Mountains, canyon system in Princess Elizabeth Land, 90 Degrees East Lake, Sovetskaya Lake, etc.). T-MOSAiC (Terrestrial, multidisciplinary, distributed observatories for the study of Arctic climate) has been proposed as a pan-Arctic, land-based program that would extend the activities that are currently in advanced planning for the IASC flagship program MOSAiC: ‘The Multidisciplinary drifting Observatory for the Study of Arctic Climate’. MOSAiC is a multinational year-round study (2019-2020) of the central Arctic Ocean to measure the coupling between atmosphere, sea ice, ocean and ecosystem processes (www.mosaicobservatory.org). The objective of the satellite program T-MOSAiC is to complement these ocean-based activities by way of terrestrial research on geosystems, ecosystems and human systems, and their responses to Arctic climate change. The aims of this IASC-supported open meeting are to discuss the science and implementation plans for T-MOSAiC, and to identify ways that researchers and northern research programs could participate. The International Network for Terrestrial Research and Monitoring in the Arctic (INTERACT, www.eu-interact.org ) is a network for research and monitoring in the Arctic, northern alpine and forest areas. The network of more than 80 terrestrial research stations hosts and operates high level scientific activities over a wide range of disciplines. Transnational, Remote and Virtual Access (TA, RA, VA) are three modalities of access that are offered free of charge to scientists all over the world to conduct research at 43 stations of the INTERACT network. The side event focuses on different aspects of Transnational, Remote and Virtual Access from characteristics of each modality to application, evaluation and implementation of access in practice. Examples from previous INTERACT TA, RA and VA projects will highlight the potential of different modalities of access over a range of disciplines and studies. The meeting will facilitate networking among previous, current and potential TA, RA and VA users, and create added value by highlighting how access can be used to address large and complex arctic system science questions, identified by international science organizations. What is the most suitable modality of INTERACT TA/RA/VA for your study? Come and learn more at the side event! International Penguin Early Career Scientists (IPECS) is dedicated to providing career development, networking, and other opportunities to support early career penguin professionals in academia, NGOs, private industry, and beyond. It was formed and is organized by students seeking to build a framework for long-term success in this field, and who have a particular interest in maintaining open communication and fostering positive working relationships between future colleagues. IPECS hopes to, along with our mentors and supporters, provide the necessary resources to keep passionate and forward-thinking individuals in the field of penguin science. At POLAR2018, IPECS hopes to share with the polar community our progress and opportunities for early career professionals and mentors. We hope to have a 4-hour meeting in 3 parts: (1) 1.5-hour annual Organizing Committee meeting amongst IPECS leadership that will be open to the public, (2) 45-min Town Hall meeting where IPECS shares opportunities and vision for the future (e.g., mentorship program, upcoming events, partnerships), and (3) 1.5-hour workshop and networking event for early career professionals. This session will focus on how penguin science can be an interdisciplinary field that can benefit researchers, with time for hands-on activities (e.g., social media, writing letters to potential advisors). Live demonstration of the functionality of the Global Cryosphere Watch Data Portal. Meta-data and data flows and exploration will be presented with emphasis on GCW Cryonet stations that are not linked to a larger existing data centre. This is a work meeting of the IACS Working Group (WG) on Ice Thickness Estimation. An agenda will be circulated to WG members prior to the meeting. This event provides the opportunity for a small group of early career researchers to meet and have an informal lunch with two of the POLAR2018 plenary speakers. Details on the application process will be made available through the POLAR2018 and APECS websites once the plenary speakers are confirmed. The event is organised by SCAR, IASC and APECS. This event provides the opportunity for a small group of Early Career Researchers (ECR) to have an informal lunch with the morning's two plenary speakers. If you wish to have the chance to take part in this opportunity please fill in this form by 3 June! Participants will be drawn by lots from the applications received. The event is sponsored by SCAR and IASC and organised by APECS. The meeting is aimed at presenting and discussing scientific priorities that can be targeted in a new program after the end of PAIS. As a follow up of the PAIS conference 2017 we are editing a white paper illustrating scientific achievements and gaps that still need to be addressed. The PAIS meeting in Davos will be an opportunity for further implementing the PAIS white paper and allow other scientists from other programs to be part of the discussion. The Tibetan Plateau and its surrounding regions are internationally acknowledged as the Third Pole on the earth. The Third Pole hosts the largest ice mass outside the polar region. The core region of Pan-Third Pole expands from Third Pole to further west acrossing the Tibetan Plateau, Pamir, Hindu Kush, Iran Plateau, Caucasian and Carpathian, and covers an area of about 20 million km2 and is home to over 3 billion people. Major environmental changes are taking place in the Pan Third Pole region. Global warming leads to amplified responses of climate changes in the region, thus having iminent impacts on water security and sustainable developement. The Pan-Third Pole is thus of global significance to understand environmental changes as those in the Arctic and Antarctica. In this meeting, we seek studies that identify interactions between environmental changes on the Pan-Third Pole and global climate changes, evaluate possible impacts of polar changes on atmospheric circulation over the Pan-Third Pole, and characterize environment changes on the Pan-Third Pole as distinct from those on the Arctic and Antarctic. This meeting aims to connect scientists across a wide range of disciplines—atmospheric physical processes, cryospheric variations, hydrological cycle, biological change and impacts, human influences and adaptations and earth system coupling—to further our understanding of environmental changes on the Pan-Third Pole. The meeting is a discussion on future collaborative data exchanges, joint analyses and publications from the Polynyas and Ice Production in the Ross Sea (PIPERS) project. Investigators from satellite and airborne remote sensing, mooring deployments and ship cruise activities will outline these plans for collaboration. A presentation from the team undertaking the marine archaeological component of next year's Weddell Sea Expedition, 2019. The BBC Natural History Unit has a 60-year reputation for delivering critically acclaimed wildlife television series to global audiences – in the UK alone, Blue Planet II drew 17 million viewers each week to films about the world’s oceans, and drew attention to issues such as ocean plastic. It is clear that natural history television remains an effective way to communicate science stories to a broad public audience. For the next BBC landmark, the Natural History Unit is turning its attention to the frozen corners of our planet – not just the Poles, but the mountains, high plateaus and all "cryosphere" regions of the globe, and for that we need your help. Series like these are only successful due to collaborations between filmmakers and scientists working in the field. In this presentation, we will talk about some of the stories behind the scenes, of collaborations the BBC Natural History Unit has had over the years, and invite you to connect with our team – to share your experiences and any stories you feel would inspire audiences to the wonder and fragility of the "frozen" corners of our planet. Our understanding of past Antarctic ice sheet history and behaviour has improved amazingly in the last 45 years, as these two pairs of talks and videos reveal. Antarctic Scientific Deep Sea Drilling: A Long History (video - 2018)"
The Polar Regions are dynamic systems that face increasing challenges resulting from the interactions between climate change, increasing and diversifying levels of human activities, and economic and political pressures. Understanding and addressing these challenges requires contributions from humanities scholars and social scientists, which are well placed to contextualize and conceptualize the multifaceted dimensions of human engagement with the Polar Regions. Even within the humanities and social sciences, research approaches and methods vary greatly, with some common themes (e.g. on text and document analysis, meta-analysis) but often different practices. Connected by a common interest in human interactions with the Polar Regions, humanities and social scientists have much to gain from sharing insights about their research methods, as well as the challenges they face and opportunities they seize. Similarly, natural scientists with an interest in socio-ecological systems or the interplay between people and places are invited to contribute in this meeting. This meeting is for both current and future users of Quantarctica, a free, easy-to-use GIS data and analysis package for the Antarctic community. Quantarctica enables anyone to analyze high-quality open-access scientific data, plan logistics, and create production-quality maps and figures. Quantarctica version 3 was released in early 2018 and adds new features and over 150 new data layers spanning the breadth of Antarctic research, from glaciology and geology to environmental management and social science. Here, we will explore some of Quantarctica 3’s new layers and new features, then present three invited scientists from diverse disciplines who will share how they use Quantarctica for their research and planning in the office and in the field. Arctic monitoring is still not largely supported for long-term and sustained observations. The first Arctic Science Ministerial declaration and the Arctic Council’s Fairbanks declaration are calling for increased efforts to observe the Arctic. The side meeting highlights the ongoing efforts to justify the needs for sustained and long-term Arctic observations within the Finnish Arctic Council Chairmanship project “Arctic Observation Value Tree Analysis –assessment for physical atmospheric and oceanic variables”, supported by SAON. It will also present the results of the previous initiative, conducted within STPI/SAON, resulting in the International Arctic Observations Assessment Framework. The Arctic Observation Value Tree Analysis project is a continuation to this assessment, aiming to define the lower levels of the value tree related to concrete physical atmospheric and oceanic variables and connecting them with key societal benefit objectives. The second half of the meeting focuses on different models and best practices for the establishment of national SAON offices or contact points that form the basic structure for information flow between the international and national arctic observing efforts. Open session to deliver information on SCAR Fellowships, Visiting Professor schemes and other opportunities to get involved with SCAR. The meeting has been cancelled. The Sustaining Arctic Observing Networks (SAON) is a joint initiative of the Arctic Council and the International Arctic Science Committee that aims to strengthen multinational engagement in pan-Arctic observing. SAON facilitates, coordinates, and advocates for coordinated international pan-Arctic observations and mobilizes the support needed to sustain them. The SAON Board works to realize SAON‘s Vision and Goals. The Antarctic Seismic Data Library System (SDLS) was initiated in 1991 under the ANTOSTRAT project and has continued operating as a seismic data library under the ACE and PAIS projects as part of the science arm of SCAR and a formal recommendation to the Antarctic Treaty. We will discuss the current status of the Antarctic Seismic Data Library System and member will have the opportunity to report about recent and planned seismic data collections. We will discuss current and future developments of the library. Get a sneak peek at Searching for Baby Glacier, a documentary in the works. Director Celeste Koon will share an early research trailer for the film as well as a multimedia presentation of some of her grandfather Dr. Fritz Müller's archival slides and documents from his many expeditions to Axel Heiberg Island between 1959 and his death in 1980. The presentation will include many never never before seen images from the very first ever scientific expedition in 1959 and the original construction of the McGill Arctic Research Centre. We’re looking for your feedback, ideas, and any leads you might have towards uncovering the man behind the myth. In this town hall-type meeting, we seek researchers' input on their concerns about sharing data and their requests and recommendations for how the data management community can better understand and address their needs related to stewarding their data. We will provide presentations highlighting emerging trends and policies in data sharing, current and planned repository practices in securing and providing access to data, and the benefits and motivations for sharing data. Öffentliche Abendveranstaltung mit Verleihung des Schweizer Nachwuchspreises Prix de Quervain 2018 für Polar- und Höhenforschung. Organisiert von der Schweizerischen Kommission für Polar- und Höhenforschung (SKPH) der Akademien der Wissenschaften Schweiz, mit finanzieller Unterstützung der Fondation Johanna Dürmüller-Bol und der Schweizerischen Gesellschaft für Schnee, Eis und Permafrost.